Taking about Charles Webster Leadbeater, some think of him as the world’s greatest occultist and psychic, while others assume him as the worst sort of charlatan and con man. So, who was Charles Webster Leadbeater? 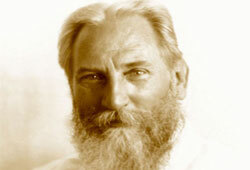 He was a well-known clairvoyant and theosophist who devoted his whole life to the dissemination of Theosophy. Not only became an influential member of the Theosophical Society, he also authored on occult subjects and co-initiated with J.I. Wedgwood into Freemasonry*. (*) Freemasonry is one of the world’s oldest and largest non-religious, non-political, fraternal, and charitable organizations. Charles Webster Leadbeater (1854 – 1934) was originally a priest of the Church of England. His interest in spiritualism caused him to end his membership with Anglicanism. In 1884, he decided to leave his clergyman position and travel with Madame Helena Blavatsky to India to help her in her work of the Theosophical Society, where he became an associate of Annie Besant. He was a high-ranking officer of the organization, but suddenly resigned in 1906 because of a scandal. Fortunately, he was readmitted a few years later with Besant’s assistance, though the accusations of his detractors were never proven. He wrote over 69 books and pamphlets that examined in detail the hidden side of life as well as sustain regular speaking engagements. His efforts on behalf of the society guaranteed his status as one of its influentially leading members. Was C.W. 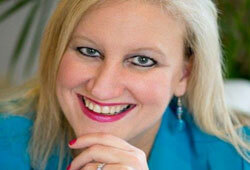 Leadbeater the Greatest Theosophist? Taking a glance at life story of C.W. 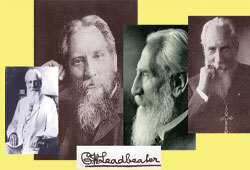 Leadbeater, this great man was born in Stockport, Cheshire, in 1854. His father, Charles Sr., was born in Lincoln and his mother, Emma, was born in Liverpool. He was the only child in the family; from a very young age, he had a strong belief for a loving God and a certain faith in eternal life. In 1862, his father died from tuberculosis when Leadbeater was just 8 years old. After graduated from high school, without finances for college, he quickly sought work to provide for his mother and himself. He worked at various clerical jobs; and during the evenings, he was mostly self-educated. Also, he studied French, Latin, and Greek. By the influence of his uncle, William Wolfe Capes (the well-known Anglican cleric), he was ordained an Anglican priest in 1879 in Farnham by the Bishop of Winchester. He lived with his widowed mother at Bramshott in 1881. About this time, he was an active clergyman who was remembered as ‘a bright, cheerful, and kind-hearted man’. Yet, after reading about the séances of Daniel Dunglas Home, a reputed medium, C.W. Leadbeater slowly developed an active interest in spiritualism. He joined in the Theosophical Society in 1883 and met Helena Blavatsky when she visited London in 1884. She accepted Leadbeater as a pupil and he soon became a vegetarian. He also wrote a letter to Master Kuthumi, one of the world’s Ascended Masters, asking to be accepted as his pupil. Afterward, and encouraging response influenced him to travel to India. He had received training from some of the Masters, who were the inspiration behind the Theosophical Society’s formation. This was the beginning of his long, dedicated career with the society. Whether or not appreciate the article “who was Charles Webster Leadbeater?” , please leave your feedback below to let us know.